Like many other communities in the country, Park City, Utah is experiencing a lack of available homes for sale. How can that be when a search of the active properties on Wasatch Back MLS (Summit and Wasatch Counties) brings nearly 1900 results? The final tally leaves 691 Homes and Condominiums in the Greater Park City Area for sale (this includes Park City Proper, the Snyderville Basin, and the Jordanelle Reservoir area). The split between Homes and Condominiums is almost even (348 vs 343). Year to date sales for homes and Condominiums in the Greater Park City area is 1335 (574 Houses and 761 Condos). This data gives a 6.7 month supply for Homes and a 5 month supply for Condos. These numbers sound very reasonable for most metro markets in the US and might even be considered a Buyers market by some standards. A deeper dive shows the real issues in the Park City Market. Of the active homes for sale, 223 have an asking price of $2 million or more; this is a 17 month supply at the sales rate so far this year. At the other end of the spectrum, there are only 32 Homes listed for less than $1 million; at current sales rates would sell these homes in a mere 1.5 months. Homes between $1 and $2 show a 5 month supply at the current absorption rate. Only 6 Homes on the market in Old Town have a price under $1 million; none of these were built after 1920 and half of these are under 1000 square feet. Sales prices for new construction homes in Old Town are averaging approximately $1000/sq ft. The Pinebrook and Jeremy Ranch areas in the Snyderville Basin have 2.5 months worth of inventory at current absorption rates. There were 62 sales this year in these areas under $1 million; there are currently 6 homes for sale in Jeremy Ranch and Pinebrook with an asking price below $1 million. Condominium sales and active listings show similar discrepancies between inventories at higher and lower prices. There are 31 active condo listings priced above $1 million, a little over 1 years worth of inventory at the current absorption rate (note the 5 month condo supply mentioned above). The Racquet Club Condominiums in Park Meadows have seen 4 sales this year all representing the highest prices ever recorded for the area. There were 46 condo sales in Pinebrook this year, there are currently ZERO on the market. The lack of inventory in certain price points can lead Sellers to believe that they can get any price they choose, but that just really isnt the case. The current low mortgage rates mean that many Buyers are still getting a mortgage, and in that case the property will need to appraise. Appraisals are a back-ward looking price determination based on recent sales, this keeps prices from jumping too fast or Sellers getting a high price just because they have the only one on the market. Inventory that is on the market a long time is usually over-priced; Buyers wont pay too much over the last comparable sale unless there is truly something special. Park Citys low inventory levels can make both Buying and Selling harder (for different reasons), but either way youll find that the knowledge and guidance of a local real estate professional is a must. Contact the YouInParkCity.com Group (435)962-9472 at KW Park City Keller Williams to help you through. Posted in buyers, Park City Economy, sellers, market statistics | 0 Responses to "Park Citys Real Estate Inventory Problem"
Park City and Summit County registered voters opt for taxes and bonds. The November 2, 2010 election in Summit County, Utah drew a large number of voters for a non-presidential election year. 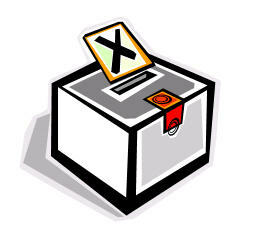 Nearly 50% of the registered voters in Summit County (home of Park City) cast ballots in this year's election. Two big initiatives on the ballot this year were the extension of the Recreation, Arts & Parks tax (RAP tax) and the Snyderville Basin Open Space and Trails Bond (Proposition 2). With the current economic situation the nation faces, it appeared as if initiatives that cost voters money would face strong opposition from voters. On the contrary both measures passed with overwhelming support. The RAP tax which adds a one tenth of one percent tax on purchases made in Summit County received a positive voter endorsement of nearly 67%; keeping the tax for another 10 years. In the past 10 years the tax has generated more than $7 million which has gone to fund art, cultural and recreational activities in Park City and Summit County. Over half of the revenues generated by the tax have gone to support non-profit groups providing cultural activities such as the Egyptian Theatre, Park City Performing Arts Foundation, Kimball Art Center, Mountain Town Stages, Swaner EcoCenter and Utah Symphony and Opera with the remainder going to publicly owned recreational facilities like the Basin Recreation Fieldhouse, Park City Ice Arena and Oakley Recreation Complex. Proposition 2 which asked voters to approve a general obligation bond of $20 million to go toward the acquisition of open space and non-motorized trails in the Snyderville Basin. The cost of the bond was estimated at $10.51 in property tax per year for each $100,000 of assessed value (about $70 per year for the next 20 years for the average home in the Snyderville Basin area of Park City, UT). Of the $20 million, $12 million is to be used for open space acquisition, and $8 million is to go to trails. The passing of both of these ballot initiatives in the current economic climate points toward the commitment of Park City and Summit County, Utah's voters and residents to the lifestyle and values that make this a special place to live. For assistance in making Summit County and Park City your home, or home away from home, contact a real estate professional with the YouInParkCity.com Group at Keller Williams Park City Real Estate (888) 968-4672. Posted in Uncategorized, Park City Economy, Park City value | 0 Responses to "Voters Support Open Space, Recreation, Arts & Parks"